Subsequently we describe the different forms to arrive in Kosovo by means of flights, buses, trains and car. Several European airlines have begun to offer direct flights form the International Airport of Pristina, for example: SAS scandinavian airlines, Swiss, Belle Air, Croatia airlines, Air Berlin, Malev and Austrian airlines. During the summer various additional charter flights are available for travelers that desire to go to visit Kosovo. From Montenegro you can enter Kosovo by Rozaje to Peja/Pec (approximately 2,0 hours). There is a cross border in the Valley Presevo in Serbia to enter Kosovo by bus. 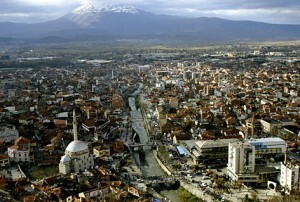 There is a buses companies that offer ways from Istanbul buses Skopje to enter Kosovo. From Albania you can enter Kosovo by Prizren on a new very pleasant road of pretty landscapes. Luckily already remained in the past the days the cross border through the mountain of 10 hours of delay that was really a nightmare to enter Kosovo. The trip of Tirane to Kosovo costs 10 euro and delay 4 hours, with two stops. Only be conscious when travel to Kosovo that crossing the border in Kosovo in the toll road there is no frontier checkpoint at all. You will not receive a seal of entrance of Kosovo, you will neither receive the outset albanian seal. There are also trains that cross the border of Kosovo. Two daily services join and connect Kraljevo in Serbia with all the cities on the Leshak – Fush ë Kosov ë (Kosovo Polje), the connections of Beograd are possible but they include a long stop in Kraljevo, thus the trip delays more than 12 alone hours to travel through 399 kilometers. From March 1, 2006 an identical service, twice a day, runs of Skopje in Macedonia to Prishtina in Kosovo. In Kosovo it is difficult to obtain the schedules at the outset for these trains. The trains in Kosovo are very slow and they transport only passengers offering a second class level, but the trains in Kosovo give the opportunity of seeing a lot more the beautiful landscapes of Kosovo and at the same time the trains of Kosovo have a very cheap cost of approximately 4 euro each section. To enter Kosovo, the validity and the acceptance of the Insurance of International car are in doubt. Some sources say that you will have to buy the responsibility of insurances in the border of Kosovo that costs 50 euro before the guards of border permit to enter Kosovo. The travelers relate that from December of 2008 this Green Card supposedly was accepted by the border police and the customs of Kosovo. Therefore it be assured also that you have a Registration of Vehicle and a judicial Power of the owner if the car is not yours. Means of transportation inside Kosovo. Of Fush ë Kosov ë (old Kosovo Polje; a city near Pristina) to Leshak (a town in the north of Kosovo in the border Serbia) three trains for day. Of Fush ë Kosov ë at 07,35 o’clock, 11,18 and 14,15 and of Leshak at 09,55 o’clock, 13,19 and 16,50. The train passes for most of the Serbian enclaves that are located by the north part of Kosovo. The system of trains of Kosovo is seen as a way to help to do the life of the Serbians and of the population of Kosovo easier, but also like a way to help the integration between Kosovo and Serbia. The service of train of Kosovo is free for the inhabitants of the Kosovo. Another service leaves twice a day of Fush ë Kosov ë at 04,17 o’clock and at 19,00 o’clock and goes to Hani I Elezit (the old General Jankovic) by the border of Maceonia, and the return trip to Hani I Elezit begins at 05,53 o’clock and at 20,44 o’clock. The suburban local services run from Fush ë Kosov ë to Grazhanica with exits of the F. Kosov ë at 19,17 minutes after 05,40, returning from Grazhanica at 06,30 o’clock and 20,05. Be careful, often the cabdrivers of Kosovo and another very badly deliberate people and without unscrupulous complicated the taxis transportation system of Kosovo and they will try to swindle it. 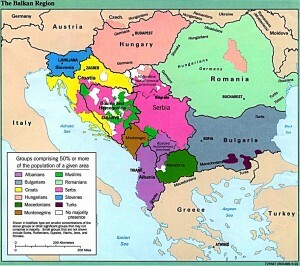 You can obtain a magnificent atlas of Kosovo of the OSCE that has detailed ethnic maps (before and after the war), demographic statistics, with maps of navigation. To obtain the map, ask it the information bureau of non-governmental organization near the building OSCE in Pristina. Keywords: Transportation in Kosovo. Trains in Kosovo. Rent a car in Kosovo. Plane tickets in Kosovo. Book tickets in Kosovo. How to travel in Kosovo. Buses in Kosovo. Public Buses in Kosovo. How to arrive at Kosovo. Direct flights to Kosovo. Air Passages with discounts and special offers to Kosovo. Air companies of Kosovo. Domestic flights in Kosovo. International tickets to Kosovo. Visa for Kosovo. Information of countries that do not need visa to enter Kosovo. Frontier crossings in Kosovo.